Ring O’ Fire is an annual 135 mile coastal ultra marathon circumnavigating the Isle of Anglesey, North Wales. 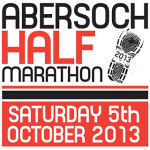 ½ marathon in aid of the local hospital at one of the most scenic races in Britain. Following the Caerphilly 10k’s hugely successful introduction in 2013, Caerphilly County Borough Council with support from Welsh Athletics and Run Wales will be running the Caerphilly 10k along with a new Junior 2k on Sunday 22nd June 2014. Fell race from Rowen Carnival. 8 miles/12.8km 2400’/786m ascent/descent. Circular route from Rowen over Tal y Fan towards Penmaenmawr stone circle and return. Course marshalled but not marked so navigational ability required in poor weather. Start 2pm. Llanwrtyd Wells, may be the smallest town in the UK but there’s always something going on and its location in a river valley alongside The River Irfon makes it and the surrounding mountain scenery spectacular! A great location for an early autumn fell run and all for a good cause too. The Man Versus Horse Marathon has been taking place since 1980 when a group of men in a local pub were arguing over whether people or ponies were fastest on the hills. After 25 years, a man finally beat a horse by running the mountainous course in 02:05.00. Join Tenovus for their 10k charity run at the National Botanic Garden of Wales on Sunday 29 April 2012 and help support the Tenovus Mobile Cancer Support Unit, which provides cancer treatment closer to patient’s homes. Repel Hostile Forces with The Royal Marines Have You Got What It Takes to Be a Royal Marine for the Weekend? The Nos Galan Races commemorate the Welsh runner Guto Nyth Bran and his legendary athletic prowess. Held annually on New Year’s Eve in Mountain Ash, in the Cynon Valley, South Wales, the Adults’ and Childrens’ Races follow a 5km route around the town. Borth is a small holiday villagejust to the north of Aberystwyth. Aklthough classed as a road race, this race is run entirely on the flat sandy beach between Borth and Ynyslas and back. The beach provides a firm, flat and straight running surface with plenty of potential for a pb. Sprint triathlon and part of the Welsh championships and grand prix series. Organised by Pencoed Triathlon Club. The second Whitebrook Wind-Up Half Marathon will be run on Sunday 20th May 2012, starting at Tump Farm NP25 4TT.